Think about all the different leaders you’ve known. Now think of three words, maybe a short sentence, to describe each one. There may be one who was the company’s ‘go to guy.’ Maybe there was the one who was ‘good natured but inept’. Another could be ‘the one who wanted great people around’. Each of these describes a brand. We hear the word brand thrown around a lot these days. Companies or products have a brand. We hear about our social media brand. We’re told to cultivate our brand. Whether we like it or not, each of us already has a brand that has been developed over the years by our words and actions. A personal or leadership brand is important. It gives people a quick way to think about who you are, and what they can expect when interacting with you; or when asking you to get involved in a project, or asking you to take on a new role. Who are you, really? We all have things that we value. We all have strengths. Your brand should reflect who you really are. If it’s not genuine people will see that. How do your actions reflect who you really are? If you say you are all about getting results but never create them, your actions don’t reflect that brand. Be careful of latching onto what you think others want to see. Are you making yourself visible? Like it or not, organizations are not pure meritocracies. People have to have visibility to who you are and what you’re all about. Keeping your head down and just getting your work done is not all you need to be doing. Making others aware of what you’re doing and how that is adding value is important. Volunteer for projects that will allow you to highlight your brand. Engage in conversations with others to learn how they are adding value and letting them know what you are doing too. Step out of your zone. I know someone who had some perspectives on how her company was approaching diversity. She contacted an executive in her company about an article he wrote for an internal newsletter on the topic. He asked her to write an article sharing her views and soon she was put in charge of diversity for the company. 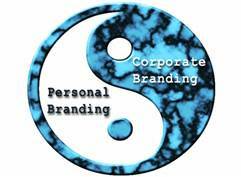 Create your personal branding action plan. Let people know who you are and the great things you’re doing. http://nextbridgeconsulting.com/wp-content/uploads/logo-2-new_lngc2.png 0 0 nextbridgeconsulting http://nextbridgeconsulting.com/wp-content/uploads/logo-2-new_lngc2.png nextbridgeconsulting2015-06-10 08:00:512016-12-25 04:52:57Who Are You, Really?